Nonprofit News Outlets Eye Chicago: What Are the Possibilities? The confluence of critical news stories on crime, finance, and education and the potential of local philanthropic sources like the McCormick Foundation would make Chicago an ideal place to establish and grow local nonprofit journalism outlets. The growth of nonprofit outlets for reporting the news has been the subject of NPQ articles in the past few years, and even within the last month. The focus on Chicago as a mecca for such efforts raises some interesting questions about need and sustainability. In an article in Crain’s Chicago Business, three potential nonprofit news outlets are cited as considering opening Chicago bureaus. But, as Crain’s reports, whether Chicago will welcome and can sustain these efforts is yet to be determined. ProPublica, an outlet that does public interest reporting, is hiring reporters and setting up shop, having made a commitment to work in Illinois. Interest in the Chicago market has also been expressed by the Marshall Project (doing criminal justice reporting) and Chalkbeat (doing education reporting). Both of these outlets would find themselves competing with other nonprofit media outlets in Chicago that claim to cover the same issues. For nearly 25 years, Catalyst Chicago covered education and the Chicago Public Schools. This year, it finalized a merger with the Chicago Reporter and has become a part of their focus on race, poverty, and income inequality. Folding the schools beat into this seems a good fit. Both Catalyst and the Chicago Reporter were funded by the Chicago-based Community Renewal Society (CRS). CRS supported this merger, which will complete in 2017 when Catalyst will no longer exist. The criminal justice beat is also well covered by other local nonprofit outlets. Competition for sustainable long-term funding for nonprofit publications in Chicago looks bright. Outside foundations are looking at the Chicago market as a good place to invest. The Democracy Fund, a Washington, D.C.-based foundation backed by eBay founder and philanthropist Pierre Omidyar, is particularly interested in funding local journalism. Since September, it has been surveying Chicago’s news outlets and needs for a report it plans to publish this summer. “If journalism is going to survive, it’s going to need a diversity of revenue streams,” says Josh Stearns, associate director of the foundation’s Public Square program. Local funders are equally stoked. A number of locally based, well-endowed foundations have a history of backing such reporting and publishing efforts. The appetite for funding journalism is “at an all-time high,” says Kathy Im, director of journalism and media at MacArthur, which gave $10 million to the effort last year. In addition, the McCormick Foundation has backed the Better Government Association, which is a nonprofit partner with Crain’s Chicago Business. It has also funded City Bureau on Chicago’s south side. NPQ had access to “patient” capital—multi-year and dependent upon a sound business plan. The plan alone was insufficient; capital by itself would have been insufficient, too. Both together were hard won and created a window that we have to get through before it closes. Such partnerships between nonprofits and commercial news organizations are becoming more common. At their best, they benefit both sides: The commercial publishers get expert reporting in specific areas that they don’t have time to devote resources to in their own newsrooms, while the nonprofits get extended reach for their work (and, hopefully, money, too). 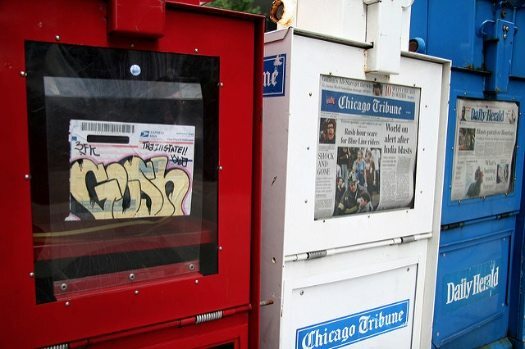 What is next for Chicago and Illinois in terms of nonprofit news outlets? Will the lessons learned from the merger of well-established outlets become the norm? Will the Chicago funding community step up to the plate?